Who said that a career in institutional FX is not dangerous? For RP Martin Euro Derivatives trader Robin Clark, life in leafy suburbia and a highly-remunerated career in the City of London’s institutional trading sector does not come without its dangers, as he was shot in the leg outside Shenfield train station in Essex, England at 5.45 am on Friday whilst on his commute to the office. Detective Superintendent Gary Richardson explained to the International Business Times last week that, “At this stage we believe the victim of this assault was deliberately targeted. Mr. Clark was admitted to Basildon Hospital for the treatment of his injuries, which are not life-threatening. Mr. Clark, whose career in electronic trading spans across senior positions with BGC Partners and Eurobrokers prior to joining RP Martin in June 2013, has majored on FX options, derivatives among other institutional asset classes, however, it is understood by many news sources in Britain that he has suffered financial woes during recent times. 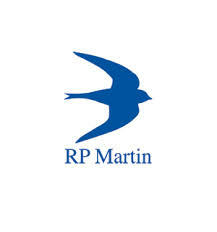 His current employer, RP Martin engages in currency and financial derivatives trading in the international money and capital markets. Mr. Clark was interviewed in connection with the incident by British Transport Police yesterday, with no arrests having been made at this point. Detective Superintendent Gary Richardson today said in a public statement: “We are continuing our investigation into the incident at Shenfield rail station on Friday, January 24 and are currently pursuing several lines of enquiry. I can confirm we have now interviewed the victim at some length. This has provided us with a number of investigative leads. He currently remains in hospital. Officers have undertaken a range of enquiries in relation to this investigation, including liaising with local police, interviewing witnesses, and conducting visits to the railway station,” concluded Superintendent Richardson.